What is practical graphic design sense? There are a number of ways that a person sets out to become a graphic designer. Many take the traditional go-to-college/schooling route. Others learn while doing. Some have that built-in talent and native creative ability – and can just “do-it.” I have always felt that a good graphic designer has a combination of the above, and also exudes a sense of what is practical and necessary on a per-job basis. But I’ve frequently found in my experience that many design novices either have never been taught the structure of design, have never been in a situation to experience or learn practical structure, or choose to ignore it. Without a good underlying practical structure – even the best creative design jobs are asking for failure. Every design project is different. Flourishes of color and artistic renderings may be fun, but often the latest design job is a boring old black and white form. In actuality, the same concepts and structures are required to produce both scenarios successfully. There are a series of questions the graphic designer must ask themselves when starting a project. 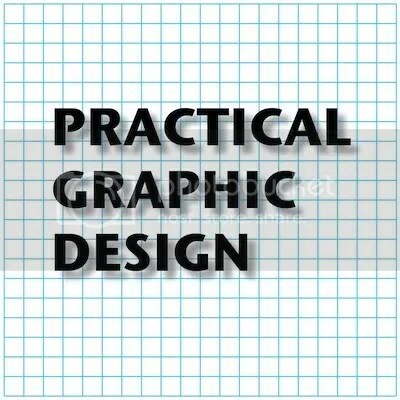 These are the basics and basis of practical graphic design. — What is the finished size? For example, is it 8.5 x 11, 2 x 3.5, or 24 x 36? Or is the finished size in pixels instead of inches? — Is the finished piece flat or folded? What type of fold will be used? Are there multiple folds? Does the fold include a score or perforation? — How will the finished piece be produced? Will it be process printed, copied, screen printed, embroidered, stamp printed, used on a website, or visible in a video production? — What are the margins needed on the page – or does the image bleed off the edge? — Will there be text present in the design? If yes, what typefaces will be used? — Will there be columns needed to facilitate the design? What about headers or footers on the page? Is a gutter needed? — What are the primary and secondary colors used in the design? Are the colors RGB, Pantone, Spot Colors, CMYK, etc.? — What outside elements are used in the design? Are there graphics, clip art, photos, videos, audio, etc. that need to be imported? — Does the design involve pre-written copy? (Body Copy, Headlines/Titles, Sub-Heads, Captions, etc.) Has the copy been proof-read and error-checked? Is proper attribution present? — How does the printer/programmer/etc. want the finished piece presented to them? For example, do they want an X-1a PDF file of a “four-up flip with a reverse with a .125 bleed and a creeping gutter of 1% with color bars included” or the raw AI, PSD or INDD files? This question should be answered prior to beginning the project as it could save a lot of headaches and do-overs down the road. Once the structure of your project is formulated, and all the elements are in hand, then unleash the creative juices! The key to being a successful graphic designer is to possess practical design sense first, then add the creative elements, taking the project to new and effective heights.